In an attempt to summit all the six most active volcanoes in the Philippines, my feet brought me to my 5th. This time, the most significant of them all. Taal Volcano may be small the smallest active volcano in the world, but just so you know, with at least 33 eruptions in recorded history, some were even destructive, it is the second most active volcano (Mayon being the first) in the whole Philippine archipelago. That's right, literally small but terrible! Worthy of a hike, most definitely. 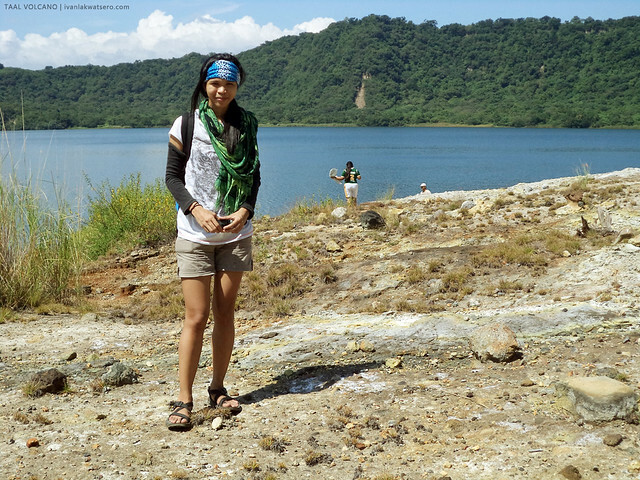 Actually, hiking Taal Volcano was a childhood dream of mine. Remember the Sibika at Kultura subject back in grade school days? From the time I was asked to bring pictures of "Magagandang Tanawin ng Pilipinas", which includes Taal Volcano, the goal was born. Ngayon, matutupad na ang isa sa mga mumunting pangarap ko. One Sunday, my friends and I decided to finally cross the famous volcano out from our bucket list. From Manila, we traveled south to Batangas, specifically to the quiet fishing town of Talisay (approx 2hrs drive) where the boats to the volcano island are docked. 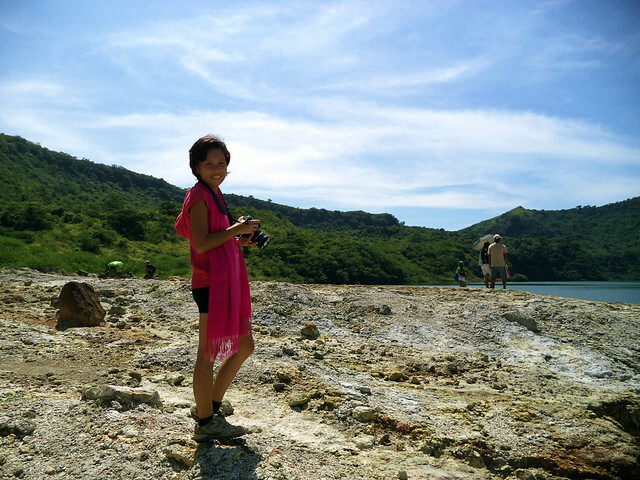 the town of Talisay, the jump-off for Taal Volcano adventures. Our friend, Darwin, who's from this town, helped us arrange what's needed for this adventure (boat, tour guide, fees, permits), so basically, things were all set and ready as we arrived. Salamat ulit Darwin! Note: If you're not blessed to have a friend like Darwin, you may instead proceed to Taal Lake Yacht Club and make the necessary arrangements there for your tour. Quite pricey but sure you are safe in their hands. Would be best if you book at least 3 days prior to your trip to get discounts. Visit them in this link. 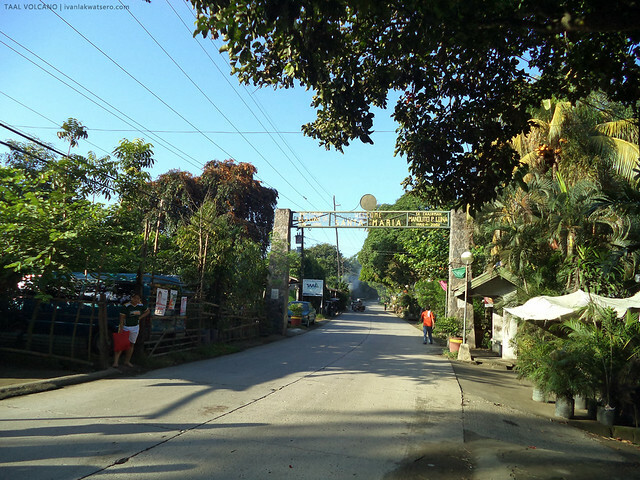 It was 7AM when we reached Brgy. Sta. Maria, the place where we're supposed to meet our boats, and the pitch blue sky simply boosted our excitement. Certainly a perfect day to go vulcaneering to the world's smallest. As soon as our boats were ready, it's adventure time! Three boats ferried our group of 15 to the Volcano Island. 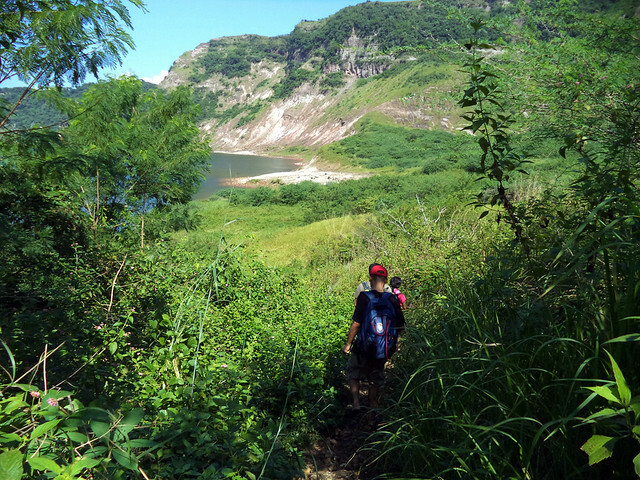 There are three known hiking trails in the volcano island, but only one leads to the inner lake. And today, we are headed for that trail. 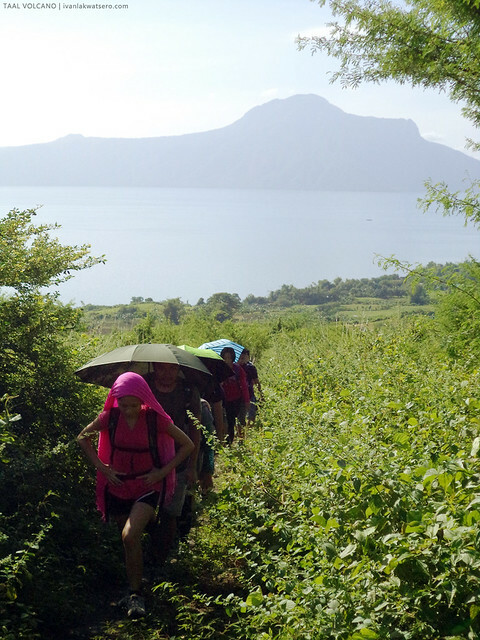 Our friend, Darwin, insisted that we take Calauit trail, or for some, the Secret Trail, instead of the other touristy trails (Daang Kastila and Kristy Kenney trail), so we could experience the best of Taal Volcano. Perhaps, I am not the only one. That whenever Taal Volcano is mentioned, the image that pops up in mind is that volcano in the picture (blame the postcards captured from Tagaytay Ridge). Actually, I am mistaken all along. That is not Taal Volcano but rather the dormant Binintian Volcano, or the old volcano where Taal Volcano sprouted out. 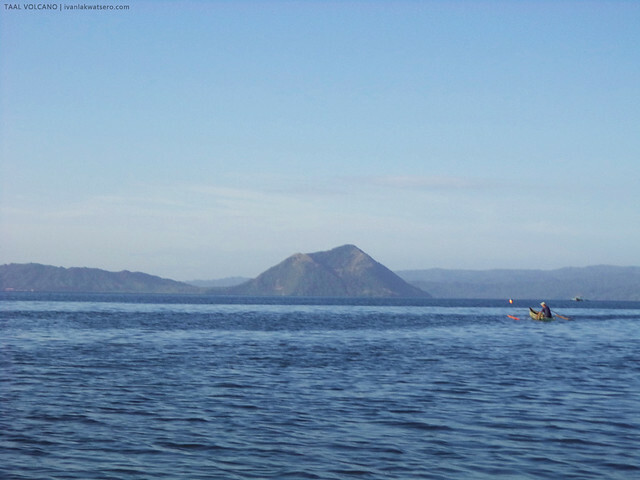 To put simply, it is the parent volcano of Taal Volcano. 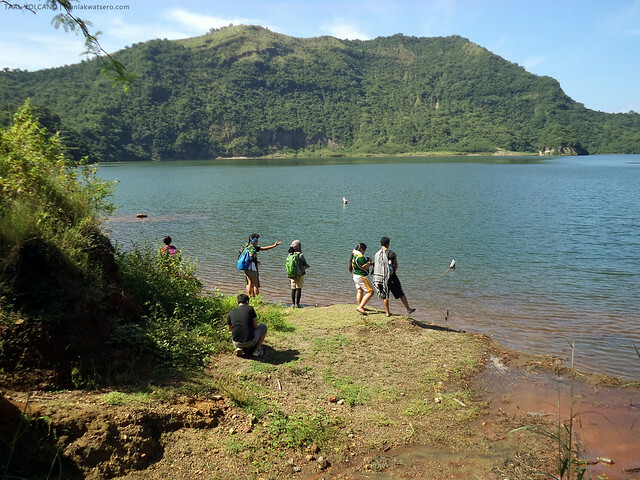 Located further south of the volcano island, Calauit trail was reached after roughly 40 mins of boat ride over Taal lake. 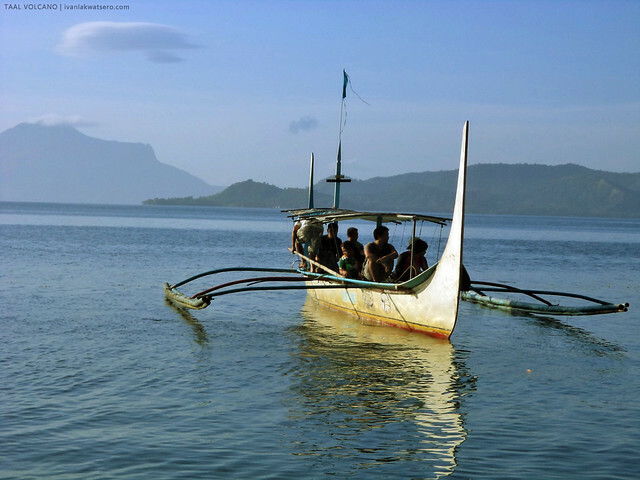 With an amazing panorama of Taal Lake and the rural scenes of the local fishing industry, I pretty much enjoyed the ride. Not to mention, the familiar mountains (dominated by Mt. 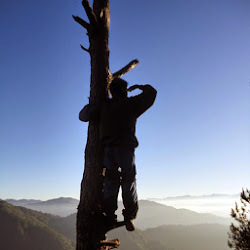 Maculot) peeking on the horizon, as well as the lively avian presence on site. Mt. Maculot (SE) clearly seen as we're cruising Taal Lake. Pure excitement was felt as soon as we landed in the volcano island, it was around 8AM. 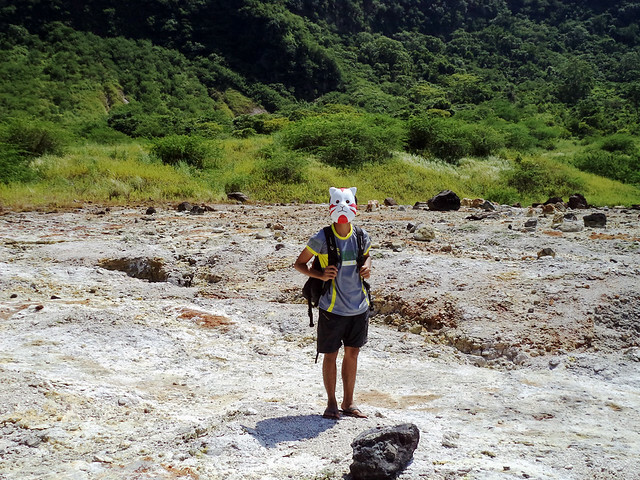 Instantly, we were approached by the villagers (yes, there are villages in the volcano island itself). They were trying to make business by offering horseback rides to the crater. Well sorry po, I brought a bunch of hikers with me; I am certain, walking fulfills them. We began hiking at 8:10 AM. 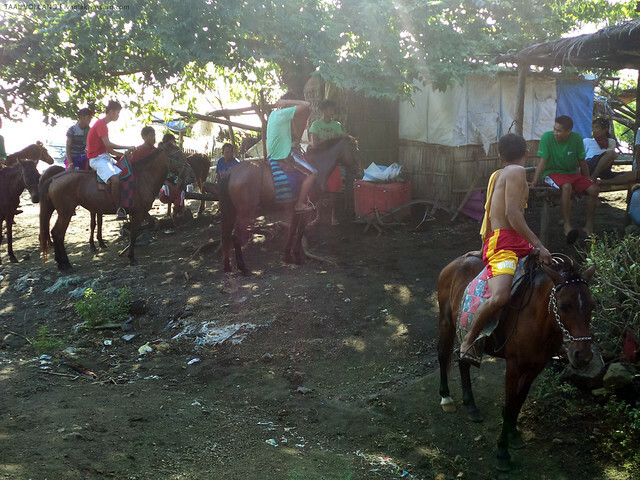 horse rides are being offered at the village found at the trail head of Calauit trail. Through the wide uphill Calauit trail we trekked. First, it was an open dirt path with horse dung scattered around, then shortly after, it shifted to a weedy/grassy trail. The hike was just very short and easy, lasted for only about 20 mins. The only thing that we disliked was the scorching heat of the day. The mere fact that not many use this trail somehow gives us the feeling of "we're one of the lucky few". Mt. Maculot at the backdrop. Lo and behold, at 8:30 AM, the caldera of the smallest volcano came to sight. It was simply stunning! For the first time, I saw the island on a lake in an island on a lake in an island. 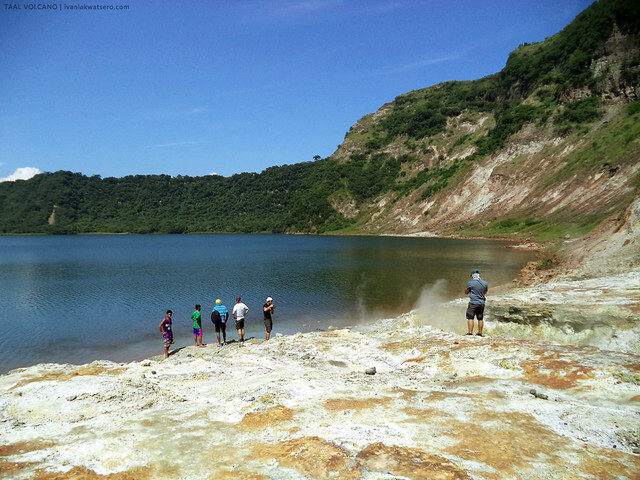 The crater lake of Taal Volcano. 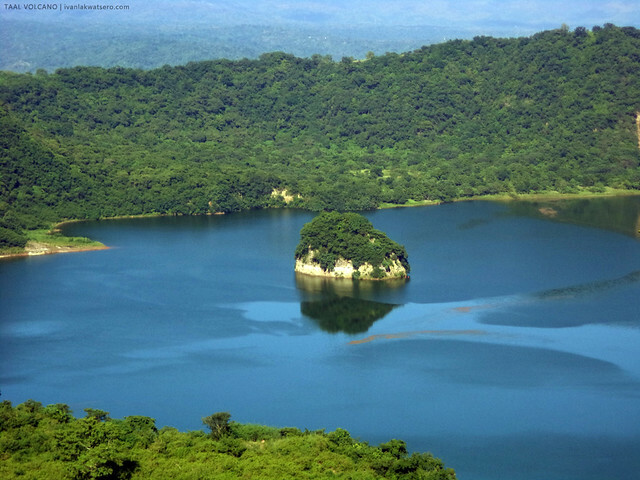 The famous line "island on a lake in an island on a lake in an island" refers to that island in the middle of the caldera lake, called Vulcan Point. The island (Vulcan Point) on a lake (crater lake) in an island (Taal Volcano Island) on a lake (Taal Lake) on an island (Island of Luzon). I mentioned earlier that Taal Volcano is the most significant volcano in the country. Yes it is. 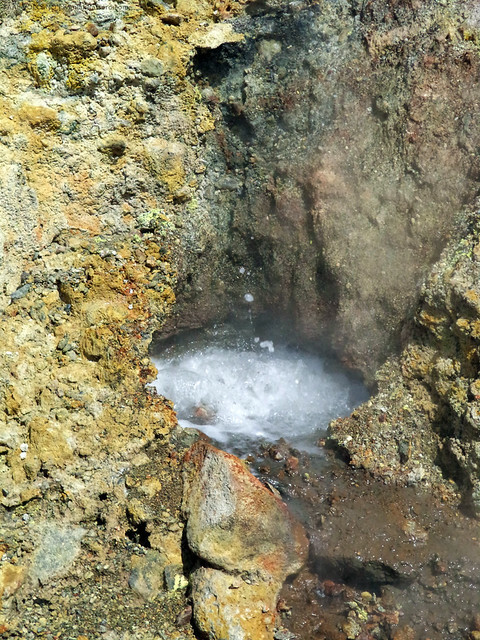 The world's smallest active volcano is among the 17 volcanoes, called Decade Volcanoes, that are being studied by the International Association of Volcanology and Chemistry of the Earth's Interior (IAVCEI). Learn more about the Decade Volcanoes through this link. The bright sunny day kept us within the shade of the small kubo found at the viewdeck. Sobrang init lang tlga nung mga panahon na yun. After minutes of good rest and kwentuhan at the viewdeck, we continued down crater lake. Again, it's just a short easy hike. My initial reaction was, "eto na yun?!" 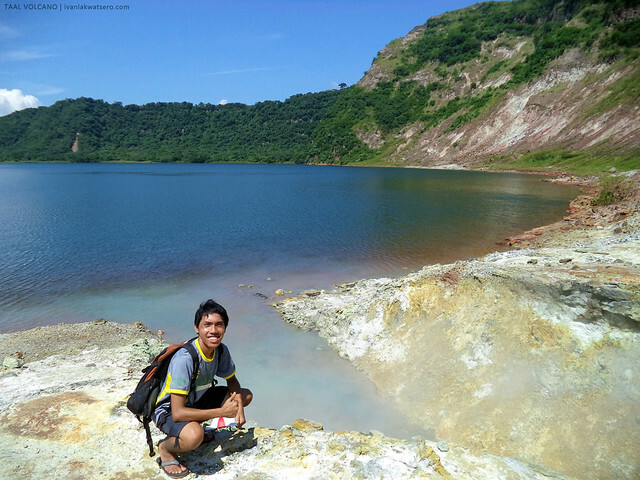 I was expecting a steaming, boiling, and yellowish lake but contrary to that, we arrived at a brownish warm lake, with occasional bubbling effect. But then our guide showed us the spot where the real action can be found. the calm side of the crater lake. They were right! We haven't reached the spot yet but the strong scent of sulfur can now be smell. And we can see and hear from afar the action I was looking for. 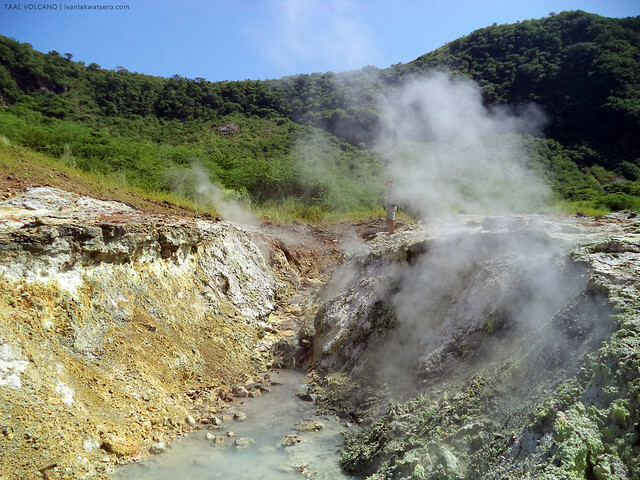 The moment we entered the arid site, I told myself, "aahh, this is the true volcano!" steaming hot and venting sulfuric fumes. Boiling pool! Pwede daw maglaga ng itlog. 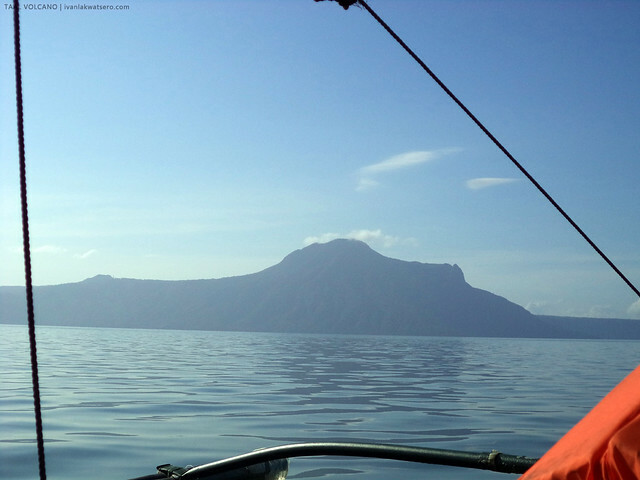 It's a rare opportunity to witness Taal Volcano in action and at that very close spot. Sobrang wow. That moment, I wished I was a geologist. hehe. The sun's heat was scorching, but that didn't stop us from posing here and there, photo ops everywhere. the very spot where we're standing was hot. Agnes of Tramping Philippines in action. Hurrah to my 5th volcano! By 10:40 AM, we decided to return to civilization. Heat coming from all direction was getting unbearable, from the ground and from the sun. And besides, we can't wait for the lunch waiting at Darwin's place, woohoo! We hiked back using the same trail, embarked the outrigger boats, and back to mainland, just in time for lunch. Our biggest thanks to Darwin and family for the warm accommodation and helping us make this adventure possible. Thanks also to all who joined this hike: Agnes and Dane of Tramping Philippines, Josh of intsikboy.com, Dawn, Arvin, Grace, Daryl, Jayson, Jel, Earl, Kuya Jundi and friends. hi ivan. may number ka sa boat man? There is another trail going to the inner lake. It's right at the opposite side of this trail. In Barangay Alas-as. 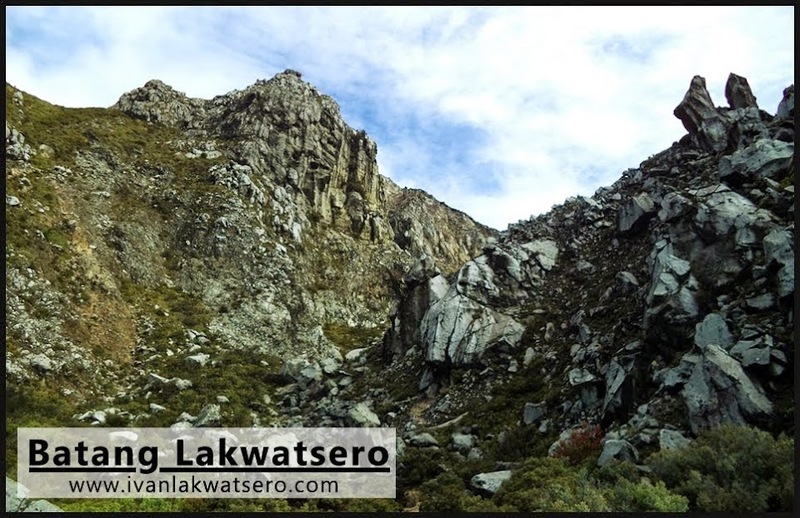 I've hiked there several times and the side of Calauit (featured in your article). But Calauit is scenic than Alas-as. The regular tourist trail has its own beauty only it is dusty and very hot esp if you started late. Did you swim in the crater lake?